Vintage Blog is child theme of kosmo. 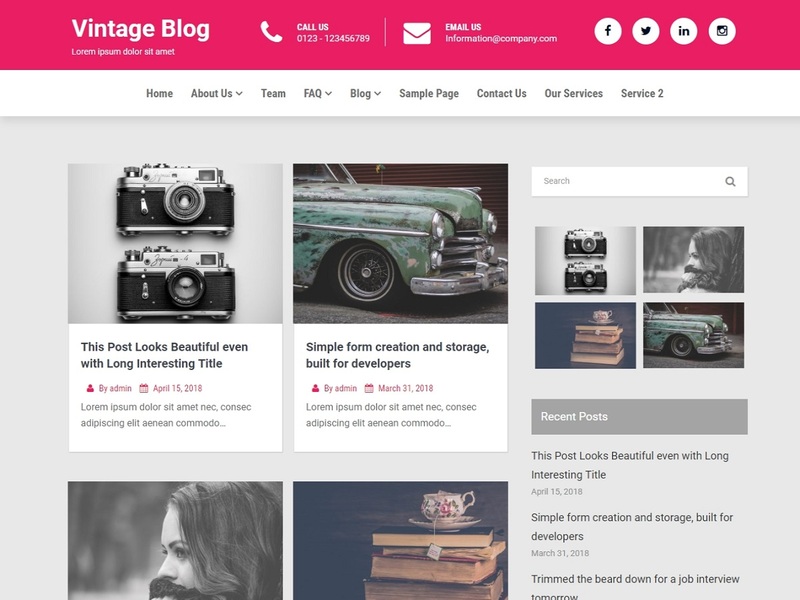 It’s celan llooking vingate blog theme and business theme. It’s multipurpose theme you can use to develop any kind of website. Builds open source api, themes, plugins for wordpress. Love Technology.Believe in creativity and new ideas.